Premium quality, individually-handled, consistent with Proof-66+ grade. Some evidence of underlying host coin design may be faintly visible. Housed in a capsule and includes a small certificate. 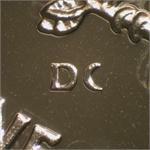 Thin "DC" mint mark type. 1) These are not copies of Silver Eagle dollars - they are privately over-struck on GENUINE government-issue 2009 Silver Eagle dollars that had no mint mark and were not originally proofs. 2) According to the US Mint, no 2009 proof Silver Eagles were released (and no Silver Eagles were ever minted with a "DC" mint mark) - so these can't be copies of one since they don't exist. 3) Defacing of US coins is legal so long as the defacement isn't for fraudulent purposes. By purchasing one or more of these coins, the buyer agrees to provide full disclosure of their origin when reselling them. Failure to provide potential buyers with complete and accurate information when offering these coins could result in criminal and/or civil fraud charges. In other words, don't even think about trying to sell these to unaware buyers as original 2009 proof Silver Eagles ! The pictures accurately show what the coins look like. No photo editing was performed. There may be subtle differences between coins. Since they are over-struck on existing coins, there may be faint evidence of the original coin design showing since the overstrike is usually not perfectly aligned with the original strike. 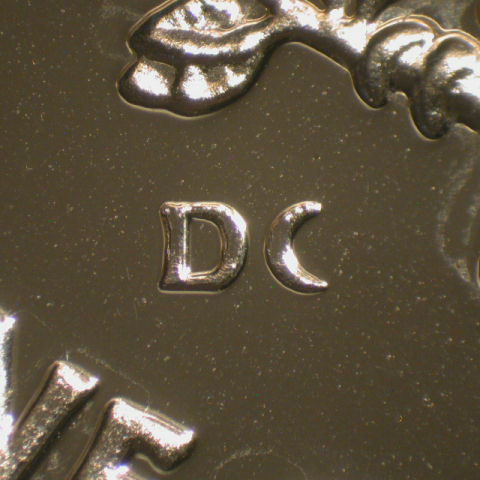 A "DC" mint mark to the lower left of the Eagle provides a marker for future identification as to the source. Do not attempt to use these as legal tender. This product is NOT endorsed or approved by the US Mint, US Treasury, or US Government. Beautiful workmanship - amazing in hand. As always with Daniel Carr products, this coin was better than expected when I got it in hand. A definite must have for the Silver Eagle collector. Amazing job! 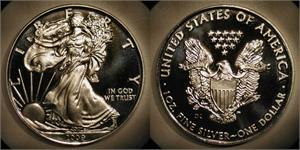 If you are a Silver Eagle collector or even just a collector of coins in general this is a MUST HAVE for your collection. As usual for Daniel Carr, this is a very high qualty, well done collectible that no doubt will be worth double its cost in the very near future!